Prior to the 1867 South Pass gold rush, Frontier military personnel were assigned to the South Pass area to guard telegraph lines and Pony Express stations. 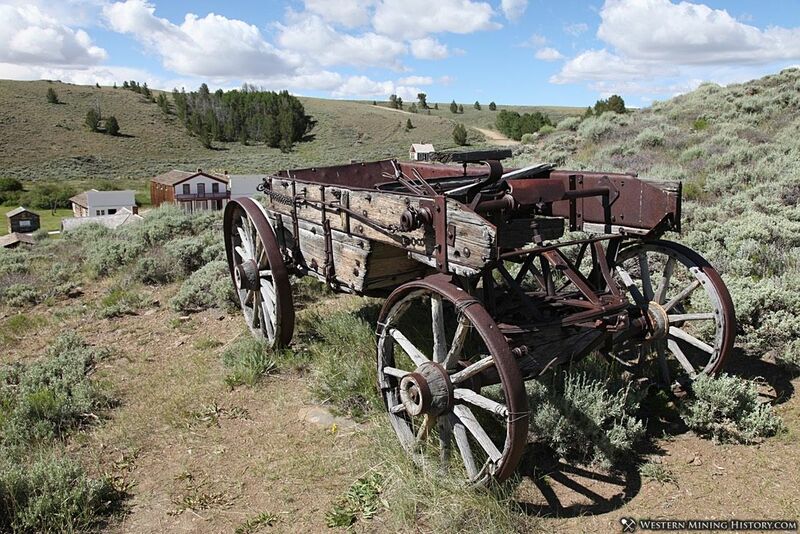 South Pass City is one of Wyoming's oldest settlements. The original settlement of this name was about 10 miles southwest of the present community, and was a stage stop on the Oregon Trail. Mark Twain mentions stopping at the original South Park stage stop in the book Roughing It: "South Pass City consisted of four log cabins, one of which was unfinished...."
The South Pass stage stop was abandoned in 1865 but the name would be resurrected in just a couple years after gold was discovered to the northeast. The first significant gold discovery in the area occurred in 1867 and a rush was on. South Pass City became the largest camp in the new district, and in 1868 became the second incorporated city in Wyoming. South Pass City was established in the gulch below the Carissa mine, which would be the district's largest and longest operating mine. At its peak in 1869, South Pass City had around 1,000 residents and perhaps 250 buildings, although reports on the population at the time vary widely. South Pass has grown very much since I have been here and the district has doubled in population this summer. There seems to no longer be a doubt of this being rich gold country. There are 12 groceries here and all other business is largely represented, gamblers, roddies and saloons are very common here, and exciting dog fights are a common Sunday amusement. Last night a man was shot and is not expected to live.... such things are common here. 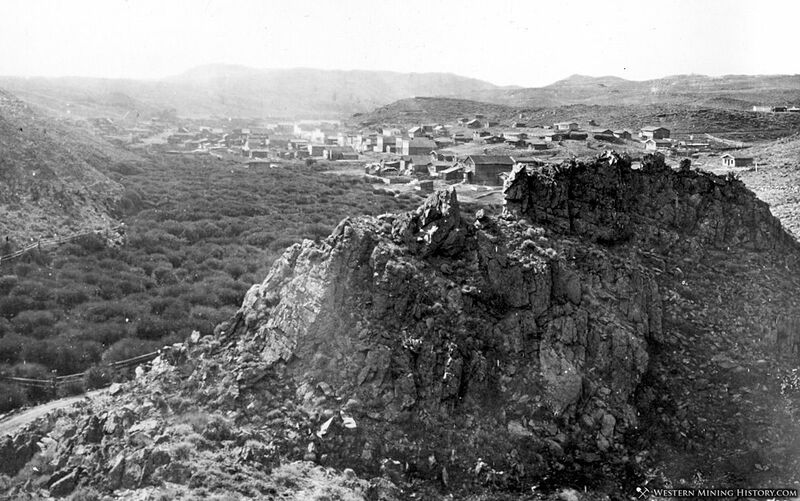 The mining districts in the area were known collectively as the Sweetwater Mines, which by the early 1870s were already in decline. Just a few years after the boom, South Pass City was reduced to less than 100 residents. Small-scale mining kept the community alive but not prosperous, and by 1880 South Pass City had just 37 residents. Prospects for the local mining industry and the town seemed grim. The 1885 revival of the Carissa mine kept South Park City alive, but it never regained anywhere near the population or excitement of the late 1860s. The 1900 census reported 142 residents in the town, and only 70 in 1910. The Wyoming Power & Light Company was organized in 1907 to provide power to communities in western Wyoming, including South Pass City and other towns in the district. Dozens of mines were operated at one time or another in the South Pass City area, but one mine, the Carissa, established itself as the largest and longest-lasting producer. H.S. Reedall discovered the Carissa deposit in June of 1867, making it one of the district's earliest gold strikes. Indians attacked the party of prospector's that Reedall was camping with, forcing them out of the area for over a month. Small scale mining of the Carissa ore started late in the summer and continued through the winter of 1867-68. Placer mining below the vein in Carissa gulch yielded many thousands of dollars in gold through summer of 1869 when the placers were finally worked out. London investors agreed to purchase the mine for $115,000 in 1869, but failed to pay the entire amount, leaving the ownership of the mine in question. The Carissa sat idle for many years, contributing to the decline of the district and South Pass City. Bolivar Roberts purchased the Carissa in 1877 and attempted to work it himself for eight years. It became clear to him that outside capital would be needed to operate the mine at a scale that would be profitable. Roberts organized the Carissa Gold Mining Company in 1885 and issued shares of stock to investors. 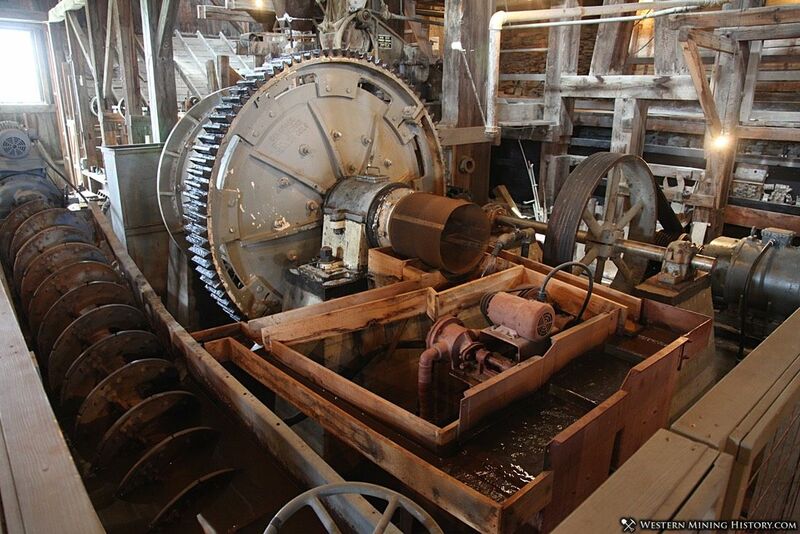 The Carissa Gold Mining Company built a water-powered ten-stamp mill on Willow Creek starting in 1886. This mill burned down in the 1890's but a replica has been built a the site just outside South Pass City. The Carissa Gold Mining Company would operate the Carissa mine with mixed results into the 1890s. Roberts, realizing the mine was still under-capitalized, attempted to sell the Carissa in 1897. He died before a sale could be arranged and new investors bought his shares and organized the Federal Gold Mining Company. The new company once again invested heavily in new development at the mine, including the large stamp mill built in 1903 that still occupies the mine site today. Despite the improvements the company still had ongoing difficulty making the venture profitable. Yet another sale of the mine occurred in 1929. The new owners invested heavily in modernizing the mine and mill. The equipment that is currently in the mill and can be viewed on guided tours was the result of this modernization. The mine and claims would operate sporadically for decades, plagued by legal problems and lack of capital. 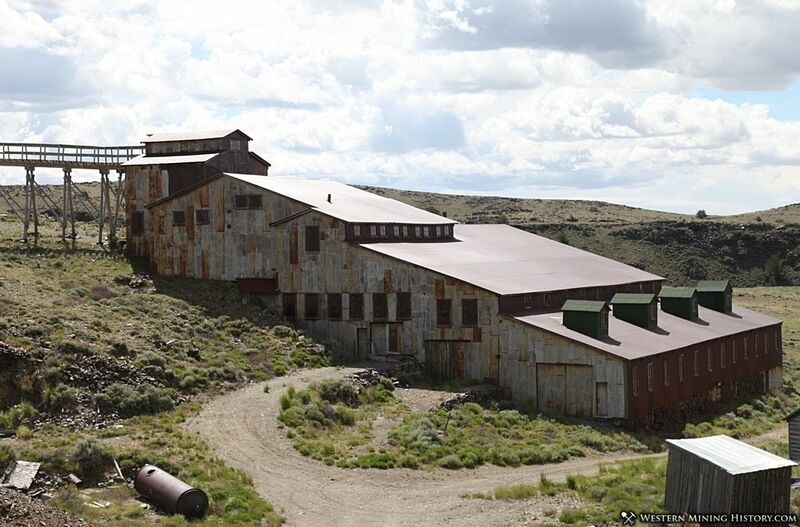 The mine sold several more times, before finally being acquired by the Wyoming Department of State Parks in 2003. The Carissa mine is now a historic site ran by the state, and is open seasonally for guided tours. The sporadic operation of the Carissa mine was not enough to keep South Pass City a viable community. By the 1950s only a few residents remained. Efforts to run the historic town as a tourist destination were not successful. In 1966 the family that owned much of the remaining town turned it over to the state in the hopes that it would be preserved. 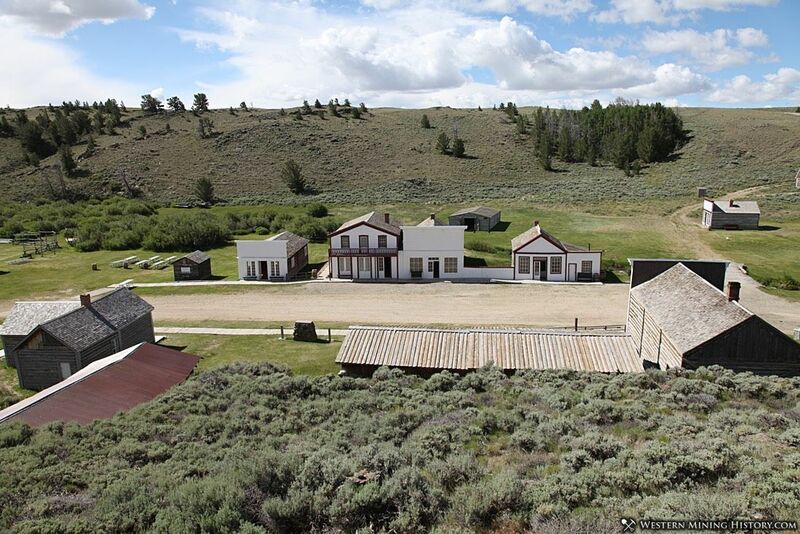 Thirty historic and reconstructed buildings are now preserved as a Wyoming State Historic Site. The park grounds are open year round and the visitor center and exhibit buildings maintain summer hours. Check the South Pass City page at Wyoming State Parks for specifics.